The Blue Raincoat Theatre Company returns to Dublin with their unique production - 'Shackleton' for 14 performances this February. Last year over 2,000 patrons viewed the sell out production at the Project Arts Centre which also toured in the U.K.
"Men wanted for hazardous journey. Low wages, bitter cold . . . safe return doubtful." Ireland's longest running theatre ensemble, Blue Raincoat Theatre Company, return to Project to perform Shackleton, a story of endurance on the Antarctic's icy Weddell Sea. 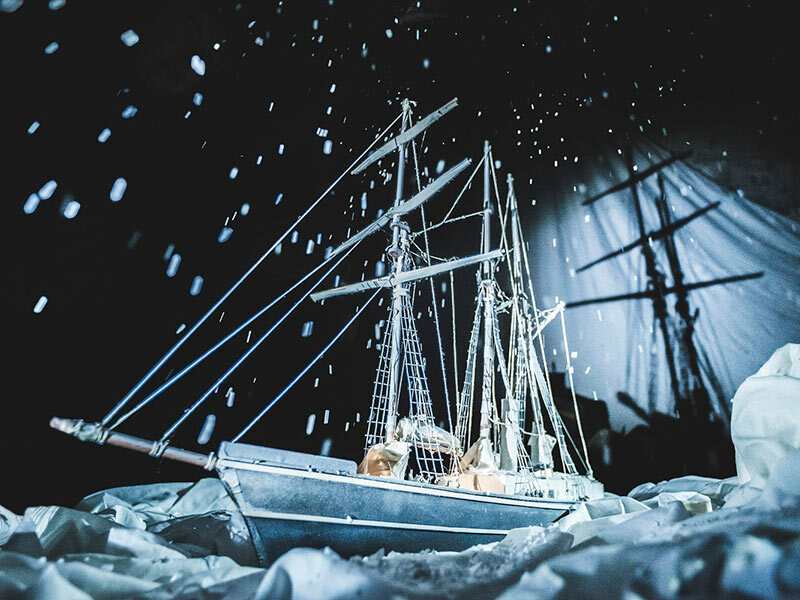 A visual feast and the tale of Athy's Polar explorer Ernest Shackleton's escape from the Antarctic told by an ensemble cast, complemented by original footage and scaled puppetry.